BEENOX NO LONGER IN THE BUSINESS OF MAKING SPIDER-MAN GAMES. WHAT DOES THIS MEAN FOR THE FUTURE OF SPIDER-MAN CONSOLE GAMES? The writing has been on the wall for this news for some time now as there hasn’t been a new Spider-Man game either announced or even hinted at being in development since 2014’s awful The Amazing Spider-Man 2 tie-in game, but Canadian developer Bennox will no longer be making any more Spider-Man console games. Like nearly every other developer in the Activision collective, the studio will now be working on the publisher’s marquis franchises, namely Call of Duty and the toys-to-life originator, Skylanders. Based in the province of Quebec, Beenox got their start as a porting studio bringing games from console to PC. They got their break in 2007 when they were allowed to make their first original project, a game based on the animated feature film, Bee Movie. After working on another movie based project in 2009’s Monsters Vs. Aliens and a Guitar Hero compilation title, Guitar Hero: Smash Hits, they were then given the reins of the Spider-Man license and crafted my personal favourite Spider-Man game of all time, Spider-Man: Shattered Dimensions, which launched in the fall of 2010. Since then Beenox went on to produce a direct sequel to that game in 2011’s Spider-Man: Edge of Time, followed by a game based on the film The Amazing Spider-Man months later, concluding with their final Spider-Man game, The Amazing Spider-Man 2, last May. The news that Beenox was no longer making Spider-Man games came as little surprise to me, but it’s still sad to hear. 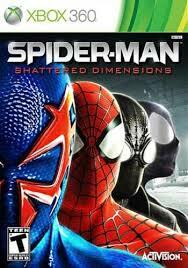 I felt the developer really understood Spider-Man and had the potential to make a really great game had they been given the proper time and resources to do so. Unlike many I really liked Edge of Time and had it been allowed to get a longer development cycle of less than a year, it could have been a worthy follow-up to Shattered Dimensions and a lot less like a $60 expansion pack. In their short tenure as the stewards of the Spider-Man franchise, I never faulted Beenox for when a sub-par product like an Edge of Time or The Amazing Spider-Man 2 came out, but publisher Activision. After giving the series a year off in 2009 with the tepid reception of Spider-Man: Web of Shadows, it was back to the annual grind of cashing in on the license instead of letting it breath like WB Games did with the Arkham franchise. Could you imagine if Beenox had been given the same leeway that Rocksteady has with their Batman games, and what they could have done with the Spider-Man license? Conversely, can you imagine if Rocksteady was given the same deadline that Beenox had with their games from Warner Bros.? One thing that’s not clear in this situation is who if anyone holds the Spider-Man console game rights now, and what is the future of Spider-Man’s video game career. Activision has produced a steady string of Spider-Man games of various degrees of quality since the turn of the millennium, so do they still hold the license to make games and are sitting on it, or have the rights reverted back to Disney and their Disney Interactive division? They did produce a Spider-Man play set as part of Disney Infinity 2.0 and it’s been the last we’ve seen of the web-slinger in a somewhat dedicated console experience in over a year. The last game credited to the character is the endless runner Spider-Man Unlimited from Gameloft that came out just as the Spider-Verse story started in the pages of The Amazing Spider-Man. Outside of Disney Infinity, Disney has been limiting their Marvel video game presence to the mobile space with games like Marvel Future Fight, Contest of Champions, Puzzle Quest and the upcoming Avengers Academy, however they haven’t been opposed to letting another coveted license, Star Wars, go to another company. EA who has Star Wars Battlefront coming out next week and an Amy Hennig (Uncharted series) led project in the pipeline, so who’s to say they won’t do the same for Marvel in the future. This summer Marvel Games producer Mike James stated that some console announcements should probably be coming in the new year, so perhaps we’ll hear the fate of Spider-Man’s console future then. I think it’s kinda bitter sweet, since Beenox made some solid Spidey-games (half the time). However, Marvel Games might have the rights at the moment, and I hope Spidey gets the true AAA IP treatment he deserves. Maybe they’ll include him in some of the Telltale stuff I’ve heard they’re producing. Still, I’m not sure how a blockbusting superhero game can fit in the serialized format of Telltale’s productions so far. I was thinking the exact same thing about the Telltale game. I’ve been replaying the second season of the Walking Dead on PS4 and for the life of me i’m not sure how their style will translate to Marvel.